Several years ago, my family and I had set out on a brief weekend trip to visit my extended family in Reno. Having been in Texas for my grandmother’s memorial service the week prior when Lent began, I wasn’t in the frame of mind to tackle something to give up. The time with family to honor my grandmother was rich and bittersweet; I was still emotionally raw. As we made our way to Reno, a two-hour drive, I suddenly had the realization that perhaps I forgot to pack my makeup. I felt anxiety well up in me as I contemplated a whole weekend without makeup. How would I make it? The thought of visiting my cousins and not having on “my best face” was, for me, a big deal. When we arrived, I searched my bag and found that I hadn’t forgotten it, but the fact that I was so concerned about NOT forgetting it bothered me. I felt God’s quiet whisper that, perhaps, this is an area I could tackle for Lent. I didn’t grow up really knowing what Lent was, or practicing it for that matter; my experience totaled one sleepover at a Catholic friend’s house on a Friday in Lent: no meat, no soda (they had given it up). It was strange to me and I didn’t understand it. I attended a Christian school in Baton Rouge, Louisiana where we celebrated Fat Tuesday (aka Mardi Gras) with a King Cake replete with plastic Baby Jesus inside ready for discovery. It was a fun tradition, but didn’t have much meaning for me without theology behind it. As an adult, I’ve wrestled with not really knowing how to fast or give up something – I’ve done it from time to time, but as a naturally self-disciplined person, I often felt like the militant aspect of lent “I will give up coffee, chocolate, soda, etc.” made me feel like a martyr instead of helping me draw closer to Christ, as the practice is intended to do. 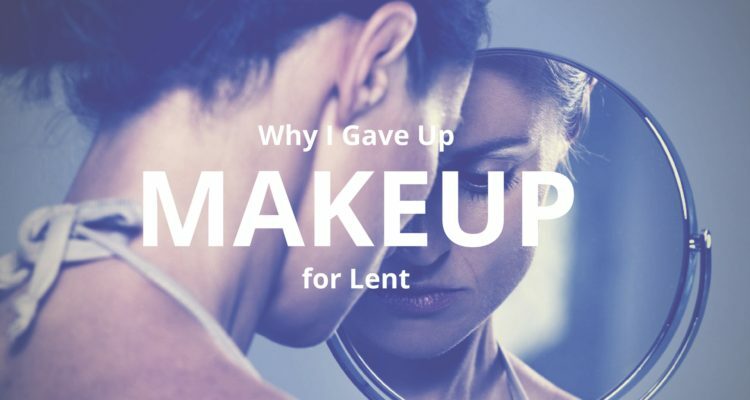 After praying about what to give up, I decided that, although a few days into Lent already, it wasn’t too late to give up makeup. 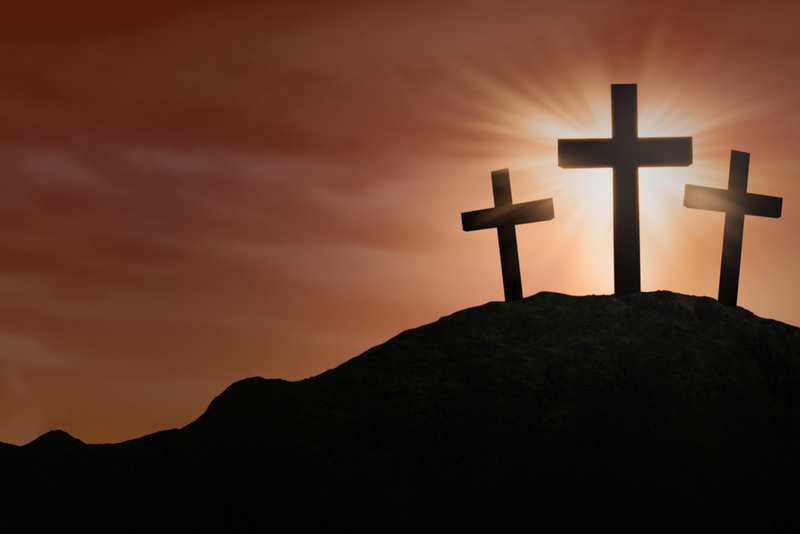 I wondered if it would draw me closer to Christ in Lent’s intended ways, and what the results would be for me personally. Having struggled with acne for nearly twenty years, I learned very early on – around middle school – that makeup was a great way to hide and “put on my good face.” I found it difficult to go out without being made up and felt that it helped me be my best self. I couldn’t remember a day when I didn’t wear makeup – or at least concealor and mascara – even to the gym. So giving up makeup for 30 days or so was a big deal for me. How would I feel? How would people react to me? During this time, I had a few lunch dates with close friends, I attended a women’s conference at the local megachurch, I even went on vacation and took lots of pictures with Yosemite in the backdrop. No one said anything; I did not bring the subject up. Things were business as usual, and the world didn’t end. Like a welder holding raw iron to the fire, I felt God cleansing me from the inside out. I wanted to be vulnerable with Him – I did not tell anyone what my Lent practice was that year – not even my husband. He hadn’t noticed I hadn’t worn makeup in a month. I told him about it after Easter. I have a really great husband, to say the least. As I took each day by the horns and refrained from the usual morning routine, I feel a freedom I had not felt in a long time, if ever. I felt God begin to free me from myself. He began to show me that I am who I am no matter what I put on my face, or what clothes I wear. The condition of my heart is what matters the most, and what shows through despite my best efforts to conceal frustration, anger, irritation, or disappointment. Makeup is good, but it’s not that good. In the past when I felt angry or sad, makeup would never be enough to change my attitude; on days where I felt joyful and filled with love for the people in my life, makeup could not make me any more beautiful than I felt. At first, I found eye contact with others more challenging. I was aware that I was naked – naked in face before people who normally saw me, perhaps, in a more positive way. I had to embrace this and walk through it; I had to accept who I was and be okay with not appearing better than I am. I found tears flowing at inconvenient times; no mascara to run. I cried in church while worshipping. I got used to seeing myself in the mirror without my flaws concealed. In the end, the practice worked. I did feel an unfamiliar closeness with Christ as he walked me through the shedding of something much deeper than makeup. I shed skin that year—a layer of something deep; something I had covered up for a long time. The shame of imperfection and age; this something that we all have to come to grips with at one time or another. Makeup or not, God, you created me. I’m made in your image, and I am beautiful. I love this post so much! I can definitely relate. When I made my move to Portland, I shed a whole persona, and embraced a more authentic sense of self. One very intentional (and uncomfortable) part of that is that I gave up makeup for a time. I never left the house without makeup before that (fellow acne sufferer). On my first trip to Portland, I intentionally left my makeup at home. I was in a new relationship, a time when I would normally wear MORE, not less makeup. Instead, I wanted to enter into it totally authentically. This was so huge for me and set the stage for settling into a more authentic life for myself. I met all my new friends without makeup on, and it was amazing to know I was liked for who I was instead of a shellacked version of myself. I don't think makeup is a small thing - it is such a reflection of how we see ourselves and how worthy we feel... as ourselves.